This hundred year old Craftsman cottage in Mission Hills, San Diego, needed an overhaul to make it bright, functional and beautiful for its new homeowners. A remodel in the seventies had stripped the kitchen of much of its character. 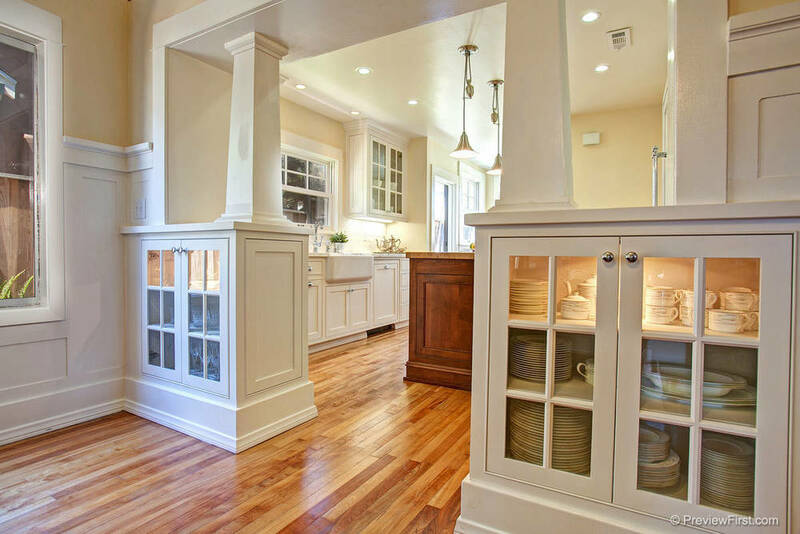 The wall to the kitchen was opened up and built out into the dining area to allow for the addition of built-in glass front cabinets, pillars, and trim details commonly found in homes of this era. The sink section of this wall was bumped out two feet, leaving enough space foran island in the center of the room and plenty of space to move around. There was an odd little addition at the back of the house where the washer and dryer were located. The wall was removed, appliances were relocated to a hall closet, and a banquette was added in the niche. Two doors were removed to create whole wall where appliances and cabinets could be added. The range and its custom wooden hood now are a wonderful focal point on this wall. 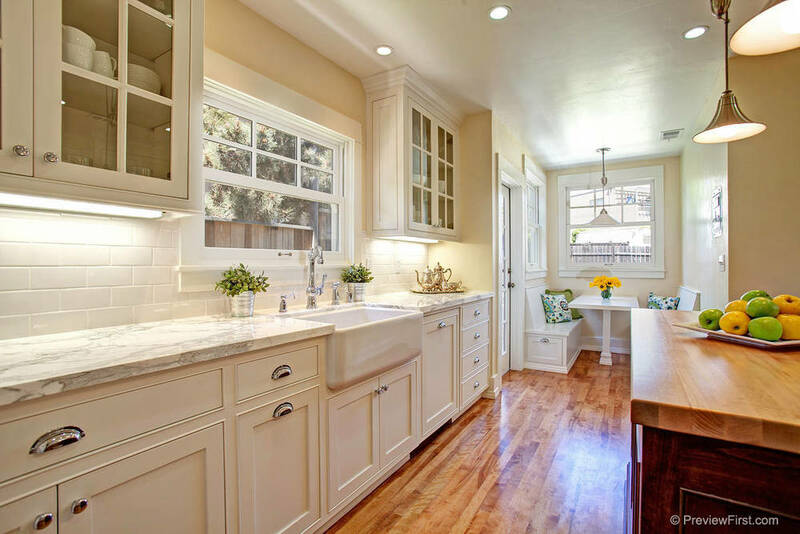 The counter tops are soft honed marble with a glossy white subway tile backsplash. The Cornue Fe range, pendant lights and the inset door cabinets have a great vintage feel. The homeowners are excited to have the new “old” kitchen that they always wanted.